Epic Web Browser is a brand new browser came from India. This Indian web browser is designed and developed by (Bangalore based Software Company Hidden Reflex), and becomes world’s first Indian dedicated web browser. This browser is based on Mozilla Platform and is equipped with so many assitional features associated with India. Despite the fact that this browser is specially designed for Indian, it is worth for worldwide internet users to try, regarding the advantages of this browser. 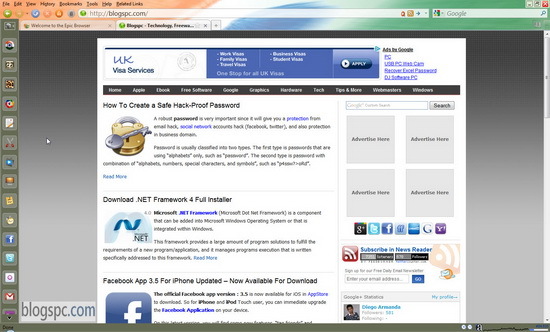 Epic Web Browser is also equipped with “built in anti virus protection”. To talk about speed of this browser, it’s light and fast, reasonable enough reminding the Mozilla Platform which is well known for its Firefox Browser. 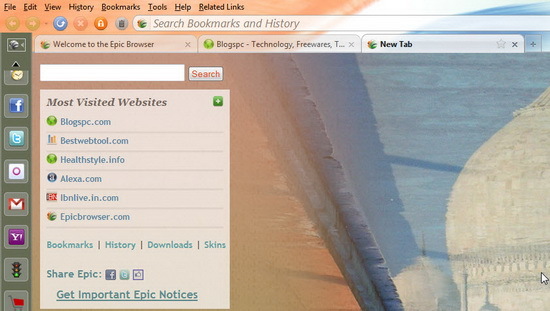 You’ll find sidebars and features with many useful services on Epic Browser. With just one browser, you can update your twitter status, login to your facebook, check your Gmail account, see hottest news and contents (especially India’s top news), and many more. The interesting thing you’ll find on Epic Browser is the “Epic Write” feature, where you can work on your documents on it as it’s like on the Office Word. 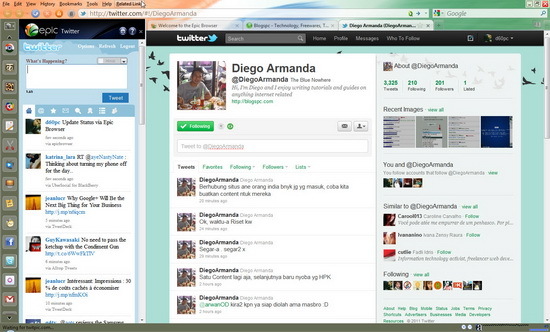 Wait, another interesting thing, you are able to watch Youtube videos on the sidebar of Epic Web Browser. To be honest, I enjoy those two features, since it is possible either to type the docs/make writings and to watch Youtube Videos, yup, at the same time! Actually, I was writing this post about Epic Browser while watching my favorite Youtube video on the sidebar. You don’t have to be worried about the add-ons (especially for you Firefox Browser user), since all the Firefox add-ons are compatible with the Epic Web Browser. So in Blogspc opinion, even though Epic Browser is intentionally designed for Indian, it’s worth to try for worldwide internet user.